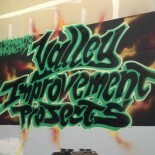 Valley Improvement Projects has officially launched our #BringBacktheBlueBin campaign! Contact us if you want an official #BringBacktheBlueBin Button! Modesto had one of the first curbside recycling programs in the country in the early 1970s. Today Modesto sends its “waste” to the local incinerator to burn and does not sort all of the recyclable material out. The local incinerator, Covanta, makes profits off of burning 800 tons of “waste” a day, including plastics, metals, and green waste to create energy, while we inhale its pollutants. The least Modesto could do is keep our recyclable materials out of the incinerator! If you live in Modesto please contact your local city council person and tell them to #BringBacktheBlueBin and enter you name below to show your support for Bringing Back the Blue Bin to the City of Modesto! Click here to download a PDF of the petition if you would like to print out your own and collect signatures! Click on the #BringBacktheBlueBin pamphlet below to download a PDF version! VIP kicked-off our #BringBacktheBlueBin campaign at Modesto’s annual Earth Day Festival, collecting over 200 signatures for our petition! We also had a great time with Faith in the Valley, a fellow nonprofit that would like to see Modesto #BringBacktheBlueBin and do more over-all recycling in Stanislaus County! Patterson has a “Blue Bin,” why can’t Modesto? This entry was posted on May 28, 2018 by valleyimprovementprojects in Environmental Justice and tagged air pollution, air quality, climate justice, Covanta, Environmental Justice, Incineration, modesto, Municipal solid waste, Patterson, san joaquin valley, Stanislaus, Stanislaus County, trash incineration, waste diversion, Waste-to-energy.